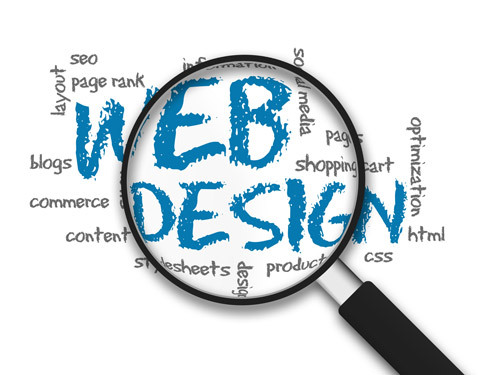 There are lots of web design tools out there for people to play with. They can help you design specific parts of your websites, like your graphic content and fonts, or they can help you design your website as a whole. If you are looking for a few tools to help you make your website stand out, then consider these tools the next time you are trying to give your site a new look. This tool allows you to customize the website’s fonts and graphics. You can download the font and graphic library for free, and only include the ones you want on your website. You can have specific fonts or graphics for each page, or use the same unique fonts for the entire site. It’s totally free to use as often as you would like, and can quickly bring your website up to the next level. If you want a site that’s organized and easy to set up with multiple tasks, you may want to consider Trello. It’s free, easy to use, and can be customized for nearly any need. You can set it up for yourself or for others, share files, or just put up a list of tasks. How you want to use it is totally up to you, but it’s something that can help any site go from a mess to a structured success. This is a relatively new option that lets you build up a website from scratch. They have some templates available, and they can all be customized to meet your needs. The best part is you can even set up your website as part of a totally free trial. If you like how the website looks, you can buy their services, but if for some reason you don’t, you can simply walk away without any obligation. IM Creator is a free to use website design tool that lets you start off with either a blank canvas or a professional template and customize it precisely how you want. You can get started building up your website in seconds, and you can have it live and ready for viewers in just a few minutes. The best part about this tool is that the templates that IM Creator offers are also mobile optimized, allowing your website to be instantly accessed by mobile phone users. When you are testing out a website for mobile users, sometimes it is difficult to be able to find all of the different mobile devices to be able to check which browsers are compatible with your site and which aren’t. Luckily for you, BrowserStack gives you access to all sorts of browsers for testing purposes, allowing you to check as many as you want all at the same time. This saves you time, money, and frustration if you find out down the line that a major browser does not give users access to your website. This app allows you to figure out nearly anything about a responsive website you could ever want or need to know. People have been trying to learn about responsive web design for quite some time, but that task is difficult due to the fact that everything is consistently changing. Well, This Is Responsive keeps you totally up to date and fully stocked with resources that can help make your website perfect for any user that visits your site from a handheld device. When looking at a website, the quicker it loads, the better. This is especially true for those who have a lot of mobile visitors. Well, compressive images allows you to still have the images your site needs to catch a visitors attention, but at a smaller file size so that your website can still load effectively and quickly. The picture quality does not decrease, and your pictures will still show up with the crisp detail you want, but the file sizes will remain low to let your website work as efficiently as possible. « What is SEO Hosting?